The New Zealand Dollar (NZD) slid down against the US Dollar (USD) on Tuesday, decreasing the price of NZDUSD to less than 0.6600 following some key economic releases. The technical bias shall remain bullish because of a lower high in the recent downside move. As of this writing, the pair is being traded around 0.6540. On the downside, a support can be noted around 0.6499, an immediate 23.6% Fib level support ahead of 0.6450 the psychological number and then 0.6424, another key horizontal support as demonstrated in the given below chart. 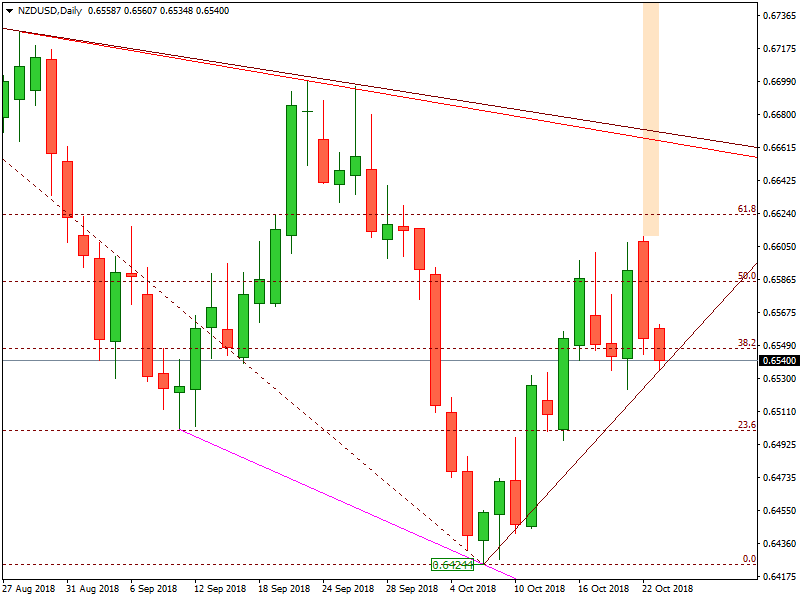 On the upside, a hurdle can be noted near 0.6584, an immediate horizontal resistance level ahead of 0.6622, the 61.8% Fib level resistance and then 0.6664, the trendline resistance as demonstrated in the given above chart. The technical bias shall remain bullish as long as the 0.6499 support area is intact. In the US, the figure concerning the price index of ISMI remained 72.1 in August, as compared to 73.2 during the month before, up beating the economist expectation which was 70.2. The data is copied from the news released by the US Institute for Supply Management. It shows the prevailing condition of the manufacturing market of the country. The figure is derived after taking into account various elements of the market such as new orders placed, the estimated rate of production for the future, employment rate, available inventories, and deliveries made so far. The figure concerning the price index of ISM is considered as a sensitive indicator of the US economy. It is also taken as an indicator of the sentiment of business concerning the inflation that may occur in a due course of time. Generally speaking, a high reading in this regard is considered as a bullish trend for the US Dollar (USD) and vice versa.